Chipmakers Texas Instruments Inc and Analog Devices Inc have decided not to pursue an acquisition of Maxim Integrated Products Inc at this time, Bloomberg reported, citing people familiar with the matter. Both potential buyers could not reach an agreement on price with Maxim, Bloomberg reported on Friday. (bloom.bg/1PjlGO0) Maxim’s shares closed down 5.6 percent at $32.33, valuing the company at about $9 billion. 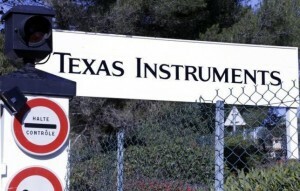 Texas Instruments’ shares ended 2.5 percent lower at $50.36, while Analog Devices closed down 1 percent at $49.98.